When you have children and pets, you don’t have the ability or time to make sure your furniture is protected at all times, and furniture is not cheap by any means. When you purchase a new sofa or recliner, you are likely buying it to last you for years, if not decades to come. In order to make sure that your investment lasts, it is essential that you hire a professional to perform upholstery cleaning services. You likely have a lot of foot traffic in your home, which causes visible dirt to appear on your carpets, something that is very obvious to you. When you notice these changes in your carpet, you likely have your carpets cleaned. While your furniture may not be sporting as much visible dirt (as people’s clothing don’t tend to be as dirty as their shoes), this does not mean that you living room couch or your favorite chair isn’t crawling with bacteria, dirt and dust. This is why it is imperative to contact a professional to perform upholstery cleaning on your home’s furniture. Many people think they can perform upholstery cleaning on their own. There are plenty of products sold in stores that claim to do the same quality job that a professional can. This simply is not true. The experts at PROBEESTEAM have all of the training and knowledge needed to make the upholstery in your home look like new. Contact us today and schedule an appointment to have us come to your Dubai home and clean your furniture the right way today! Most people think of a steam cleaning service as either a fancy vacuum cleaning or carpet cleaning. This mistake could stop you from booking one of the best and most environmentally safe cleaning, sanitizing and disinfecting service you can use in your home or your business. Although you can book a steam cleaning that is also a vacuum cleaning a steam cleaning is much more than that. Likewise, even though steam cleaning are excellent for disinfecting and sanitizing carpets a true steam cleaner is not limited to carpets. 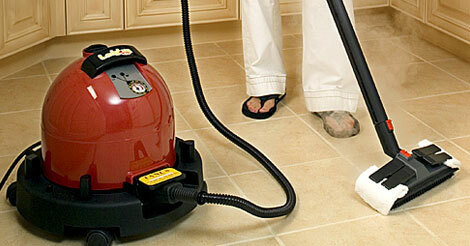 A vacuum cleaning has its purpose, vacuuming loose dirt and debris from surfaces. However, a vacuum cleaner will not clean, disinfect and sanitize the surface being vacuumed. A carpet cleaner cleans your carpet by injecting steam and/or hot water into your carpet along with a chemical-based cleaner (not good for the environment). After injecting this combination into your carpet a carpet cleaner will virtually vacuum away the dirt that this process dislodges from your carpet. 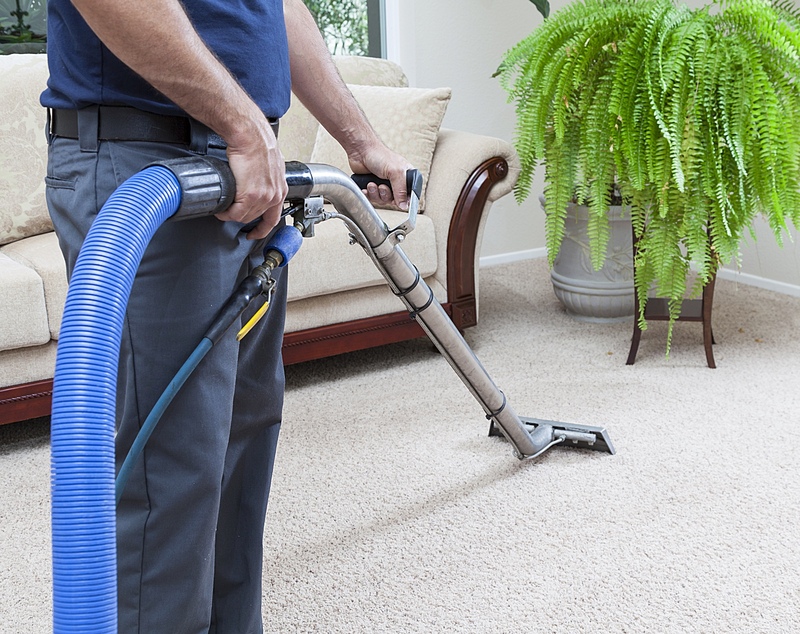 Neither a vacuum cleaning nor a carpet cleaning will go beyond these functions. Steam cleaners clean, sanitize and disinfect in an entirely different way… they use high temperature steam vapor. Since they use only water to clean, sanitize and disinfect they are completely safe for the environment. When the dry steam vapor comes into contact with the surface being treated it not only thoroughly cleans the surface it also disinfects and sanitizes it. Furthermore, the steam vapor penetrates cracks and crevices common chemical-based cleaners cannot. This eliminates all germs, viruses, bacteria, allergens, mold and mildew on the treated surface. The obvious uses for steam cleaning are in your kitchen and bathroom where we can clean all hard surfaces like floors, counter tops and appliances. But don’t stop there. Our steam cleaner is great for cleaning grout, cook tops, ovens and cabinets. Upholstery, carpets, draperies and mattresses should also be treated on a regular basis with our hardworking cleaners to eliminate germs, bacteria, viruses, dust mites, allergens, mold and mildew. Steam cleaning are even effective in killing bed bugs. One of the first things you will notice when you use our cleaning service for your kitchen or bathroom is that there is no longer any potentially harmful chemical residue left on the surfaces you clean. Not only do chemical-based cleaning harm the environment they also leave behind a residue after cleaning. Not only is that chemical residue harmful to the treated surfaces it also attracts new dirt making it necessary to clean more often. Cleaning more often means more work for you and more cost for the chemical-based service. Also, the more you clean with chemical-based cleaning the more damage you do to the surfaces being cleaned and the environment we live in. With a steam cleaning there is no residue left behind because a steam cleaner uses only water heated to more than 225F to clean, sanitize and disinfect. Not only will you leave no residue behind with a steam cleaning you will also eliminate the effects of chemical-based cleaning on your allergies and the environment. So don’t make the same mistake most people make by thinking of a steam cleaning as either a vacuum cleaning or a carpet cleaning. If you do you will never experience the amazing steam service. We’ve all been there. You’ve had an amazing party, lots of people came but today you’ve woken up to carnage. Trash and dirt everywhere, sticky mess all over the furniture and goodness knows what those stains on the carpet are. Your banging headache isn’t being helped by the thought of cleaning it all up, so why not get the professionals in to sort out your after party cleaning instead? 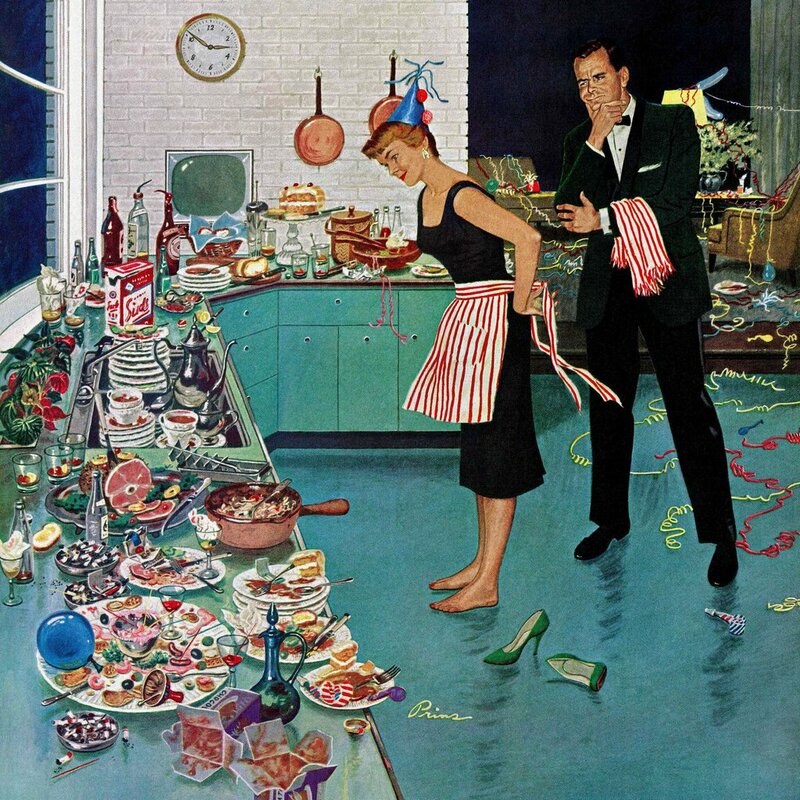 Time to call us for after party clean up! We offer a range of services for professional cleaning in Dubai, and can come in a flash when you need to sort out the mess from the night before. Our professional hardworking cleaners get your house looking spick and span again in no time. And don’t worry, our cleaners have seen it all before, so there’s no need to be embarrassed. 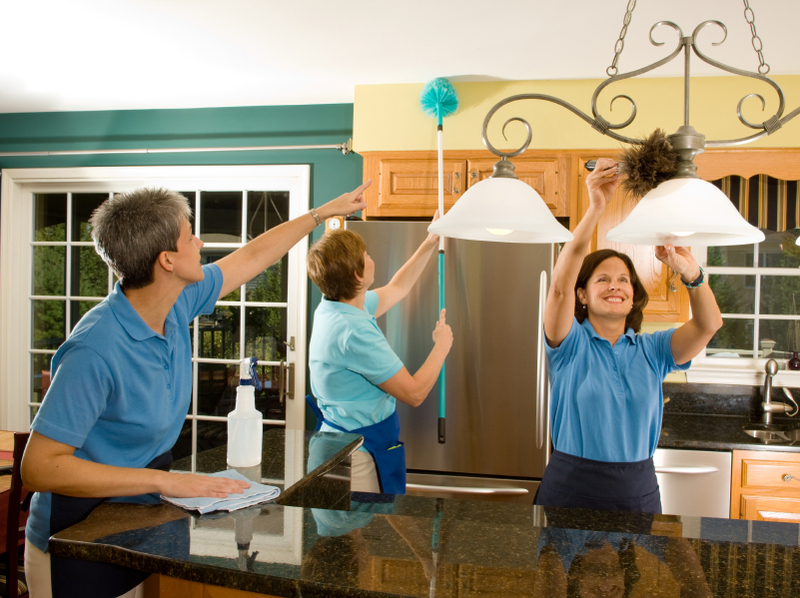 What can you expect from our after party cleaning services? We operate with complete discretion, and will aim to quickly and effectively turn your house from a morning after disaster zone into the beautiful accommodation it was before. Leave us to take care of all the domestic cleaning, while you pop out and nurse your hangover in the local greasy spoon. WHY CHOOSE US FOR YOUR AFTER PARTY HOUSE CLEANING IN DUBAI? Our domestic cleaning professionals have the tools, the products and the knowledge to turn a disaster around. Sticky substances on sofas and furniture can be hard to remove, and spills on carpets and floors can become ground in and un-removable if an amateur attempts to scrub them out. Leave everything as it is, and let our professional cleaners take care of the problem. For your peace of mind, we fully check, reference and interview all our personnel who are involved in professional cleaning in Dubai. We also come with full insurance, to give you peace of mind you are protected against breakages or damage. If it’s an emergency, you can trust us to be at your home in no time, so call us right away and let us remove at least one of your headaches! We have discussed the many advantages of using a steam cleaning in a wide variety of applications and, when it comes to the hospitality sector, the advantages continue to be significant. Hotels and resorts should use professional steam cleaning because they are constantly encountering new people, on a daily basis, from all over the world and in addition to housing them they also provide services such as food service and perhaps spa accommodations. Intensive cleaning is a must to prevent a host of problems in the hospitality industry because there is nothing worse than providing unclean or unsafe conditions for your hotel guests. Not only could someone get sick but it will reflect poorly on your hotel or resort, word will quickly spread, and you will likely receive fewer reservations as a result. Our professional steam cleaners heat water to an incredibly high temperature to effectively clean and disinfect and they can be used in a variety of ways within the hospitality industry. 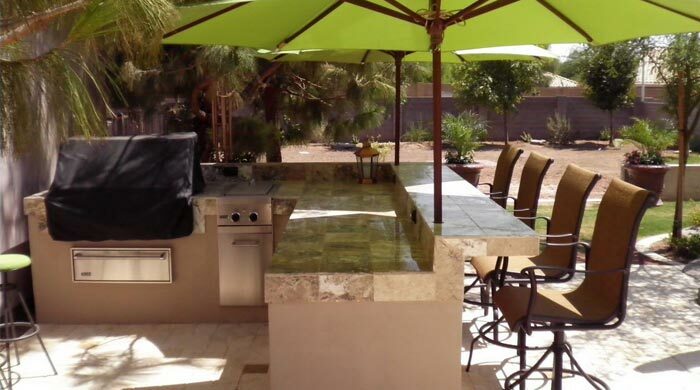 Additionally, guests can appreciate that this green cleaning method does not require things like hazardous materials and strong chemicals to clean, yet achieves the same or better cleaning results than chemicals. Steam does not wear out surfaces as much as chemicals do over time so you preserve the pristine appearance of your hotel or resort, minimize the potential of damage during cleaning and wow your guests with how beautiful your venue is. Steam can kill or remove things like mold, mildew and fungus that frequently appears in moist climates or simply in bathrooms or locker room facilities. Rather than fighting and endless and losing battle with mold or mildew that is unsightly and sure to disgust hotel patrons, steam can completely kill and disinfect surfaces so that the problem is swiftly remedied. A clean kitchen or food preparation area is something that is expected by hotel guests and inspectors alike. Steam cleans even the hardest to remove, most caked on grease, burned food and other materials. This will help preserve appliances and reduce the risk of foodborne illnesses and helps prevent chemical overuse that can contaminate food work surfaces and pose a danger to not only employees but guests as well. Steam penetrates even the toughest of surfaces to lift and remove dirt, debris, bacteria and more, leaving you with a clean and completely disinfected area. Hotel and resort guests will appreciate the improved level of clean that steam provides and hotel and resort managers will be able to take pride in how clean their facility is, as well as enjoy peace of mind that they have taken every precaution to prevent the spread of disease and illness and reduce the risk of bed bugs that steam cleaning offers. Call us squeamish but isn’t it time to start with a new seat? Replace your old throne with a new one and, while you’re at it, give the bathroom a good steam cleaning. Because you never know how many keys the old tenant shared. Ewww, yes but where there are humans there are bugs and often rodents. Have the exterminator spray, check for bugs and plug any rodent holes. Open the windows so the place can air out before you move in. By steam cleaning, you can rest assured that your place remains free of mites, parasites and other allergens. Yes, you’re likely moving into a place that has been cleaned and cleaned again but do it once more; our hardworking professional cleaners will help you! Assuming your home comes with a fridge, clean it out with a steam before you fill it up. We just think about the ways that we can provide steam cleaning service outdoors and the response has been overwhelming. It seems like everyone has anything to use steam cleaning outside the house. So we have gathered up some of the ones that we really liked, and plan on using around our clients home, and we are now going to share them with all of you. If you’re ready for some more great tips on using this service out in your yard, patio or garden, then be sure to read along. We got some great suggestions for you. Do you usually have to go out and scrub your patio furniture down and then hit it with a hose? Well, if you do, then you should know there is an easier way. Just show them to our cleaners and get those tables and chairs clean in no time flat. Many people have become wise to the fact that steam cleaning is great at cleaning windows, but not many people know that it is also fantastic for cleaning screens. Pull out your screens and let us clean them with the power of steam. Even if you don’t think they were that dirty, you’ll still be amazed about how much dirt and dust comes out of them. Try it and see. If you live in an area with hard water, then you may have noticed your outdoor water taps get pretty clogged up with lime scale. Especially around the areas where the garden hose attaches to the nozzle. It can be really difficult to clean this mess off by using ordinary methods, but it seems like a steam cleaner was made for the job. The heat from the steam will lift this scale off in no time flat, and do it without you having to use a lot of elbow grease. You can ask us to use our device to not only clean the toys that your children uses in the pool or the back yard, but it can also be used to clean the play equipment your children use. It cleans things like the monkey bars, the slide or the swing like magic. We just not recommend to clean with a steam some plastics because they are sensitive to heat and steam cleaning them might cause them to warp. We go to great lengths to care and keep our children happy, healthy and safe. We strap them into car seats, we buy toys and cribs that are safety certified and we only feed them wholesome foods. All to keep the things that may harm them or cause them discomfort at bay. Yet so many people pay no attention to the kinds of cleaning agents they use on their children’s toys or in their play areas. Cleaning agents that often have harsh chemicals in them that can irritate a child’s sensitive skin and eyes, and in some cases, may even be harmful to their health. We want to change that by giving you the best tips we have found for safely toys and baby equipment cleaning. All taken from various steam cleaning reviews and columns. After all, these steam cleaning services are perfect for a home with a child in it. It doesn’t use any chemicals and the heat of the steam destroys bacteria on contact. Let’s take a look at some of the things this amazing device can be used on. Anyone with a small child can attest to the fact that they often get more food on their high chairs then they get in their mouths. This can result in a crusty mess of food on the high chair that can be a breeding ground for bacteria. In the past, many people would use harsh cleaning chemicals to clean them up, such as bleach. But now, this food residue can be lifted off effortlessly with steam cleaning and done so without using all of those harmful chemicals. Steam cleaning are also great for cribs. While it might look like your child’s crib is clean, it may in fact be harboring all kinds of nasty critters such as dust mites. Don’t worry though, not only can steam cleaner kill these invisible creatures on contact, but it can also clean up all of the waste these organisms leave behind. Many toys, including stuffed animals and teddy bears, can be quickly and safely cleaned with a steam cleaning. And not only will it leave them smelling fresh and clean, but it will also kill all of the nasty bacteria that may be hiding on their surface. And while you’re at it, you can also clean your kid’s toy boxes. We all know how nasty they can become, don’t we? Diaper pails are not only teeming with bacteria, but they are pretty smelly as well. Usually people clean them out with bleach, but there is a better method. Just book steam cleaning and you will not only get it super clean, but you will also deodorize it as well. Do you want care more? Steam cleaning with vaporized water is still a relatively new concept to the UAE market but has recently exploded in popularity. First, let us discuss the fundamentals of steam cleaning and why we prefer it to the traditional method. Vaporized water, which comes out of the attachments from a machine that physically resembles a vacuum cleaner, is applied to a multitude of surfaces in a home or industrial setting. The steam vapor is exceptionally hot, usually over 93ºC at the tip. Heat is the first important component. Heat weakens the physical bond between the dirt or stains to the various surfaces to which the dirt is sticking or is embedded. The second component is “dry steam” i.e. water which is almost moisture less steam. Using the “dry” steam, dirty surfaces can be wiped, scrubbed or rubbed clean and the dirt collected in a steam-moistened towel,often attached by clips to the attachment. All hard surfaces are actually porous. Steam can penetrate those pores and get at that embedded dirt. One of the more interesting tests we did, was to wipe down a kitchen counter top with a good quality micro fiber towel. We then took one half of the counter and steam cleaned it. When we rubbed our hands over the steam cleaned counter top, it felt as smooth as silk compared to the other half, attesting to its superior cleanliness. How do I choose the right Steam Cleaning Service? A steam cleaning service may look wonderful at first glance with its great deals, cheap prices and professional-looking technicians. But a steam cleaning service is a business first and foremost and is out to make a profit. Cheap prices may result in poor quality and professional-looking technicians may actually have no idea what they are doing. So how do you sift the good from the bad when it comes to choosing a quality cleaning service? Finding the answers to a few direct questions can easily help you gauge the quality of a company s service. We are recognised as one of the most highly respected professional steam cleaning companies. Our experienced hardworking cleaners have built an excellent reputation and are trusted for the high standards and effectiveness of our nine stage steam cleaning service. Just pick a time, we’ll do the rest! Even well-trained pets can have an accident inside your home, and you need cleaning pet stains. One of the most common problems with dog urine, cat urine and stain removal is a failure to completely clean the stain and the underlying surface. If pet stains are not completely cleaned and odors removed properly, then it can result in long term odors and smells that simply do not seem to go away. 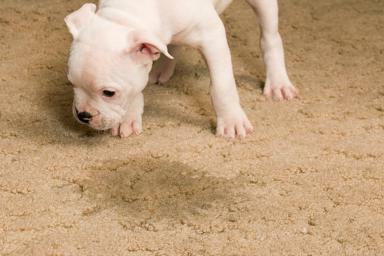 Additionally, some pets will continue to repeatedly use the same spot in a room if they can still smell an old stain. This can become a frustrating problem that will likely result in permanent damage to your carpeting and possibly the underlying floors. The best way to deal with pet stains and odors is to hire a professional steam carpet cleaning company as soon as possible to properly treat and clean any pet stains. Because it is easiest to remove new stains, we recommend that you call us as soon as possible after your pet has an accident. However, we can also use our steam carpet cleaning services to treat old, set in pet stains and to remove the pet odors from your carpeting. If you feel like you have tried everything to remove your old pet stains, but nothing has been effective, contact us to learn more about our steam carpet cleaning and other pet stain removal options. We look forward to working with you to find a solution to dissolve and lift away even the most difficult pet stains so that you do not have to turn to costly replacement of your carpet or upholstery.